Visitors may have noticed a fury friend in reception. Sadly he currently has no name. You can help change that and raise funds for Maggie’s Clatterbridge. It’s just £1 per name, you can try as many times as you wish. 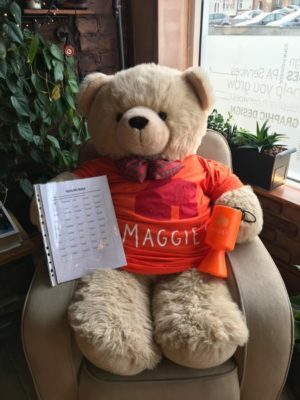 Maggies’s helps anyone affected by cancer. So at Maggie’s you can talk to and get support from a range of professionals. Their 21 Centres are staffed by Cancer Support Specialists, Benefits Advisors, Nutritionists, therapists and Psychologists, all providing support in whichever way best suits. Find out more here.